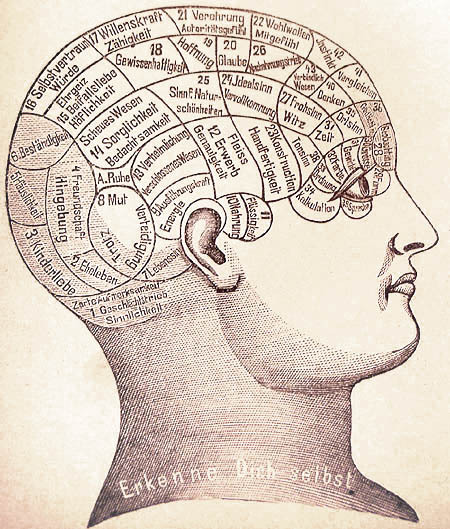 Illustration of phrenological head map. Phrenologie1 Scan by deBenutzerSummi edited by Wolfgang - Bilz, Friedrich Eduard (1842–1922) Das neue Naturheilverfahren (75. Jubiläumsausgabe), 1894.. Licensed under Public Domain via Wikimedia Commons. So how did our museum start, how did we end up with the collections we have today? Originally there was the Warwick and Leamington Spa Phrenological Society, which was established near the end of the Georgian era, in 1834. Just from feeling the lumps and bumps on a person’s head, phrenologists claimed to be able to determine character, personality traits, and whether you had criminal leanings! It was developed by a German physician, Franz J. Gall at the beginning of the 19th century, and became very popular. It has since been dismissed as pseudoscience. The focus on just one subject was thought to be a little narrow so only a couple of years later, in 1836, the name changed to the Warwickshire Natural History and Archaeological Society, to encourage more members to join. At the Society’s first meeting on 24th May 1836, the foundation of a museum was identified as one of its primary aims. At first they only rented a few rooms in the Warwick Market Hall, but by 1840 the collections had grown so much that they expanded to the whole first floor. Members would go on field trips and send back collections and objects of interest. One notable addition was an ancient Egyptian Mummy, donated in 1850 and publicly unwrapped for curiosity – something which would not happen today. Over time the museum’s collection grew from gifts and donations of various kinds from local supporters. We still receive donations today, although our acquisition policy is a lot stricter as we generally only accept material with a Warwickshire connection. Initially the museum was only open to subscribers and their families, with each subscriber having the privilege of bringing a friend to the museum. Non-subscribers had to pay one shilling; a significant amount in those days, which must have excluded the majority of the local population. Eventually the museum opened its doors to the general public for free from Whit Monday 1847, so we have had free entry for 168 years! At the time the museum committee reported that ‘hundreds of visitors conducted themselves with the utmost decorum’, and that is still true today.